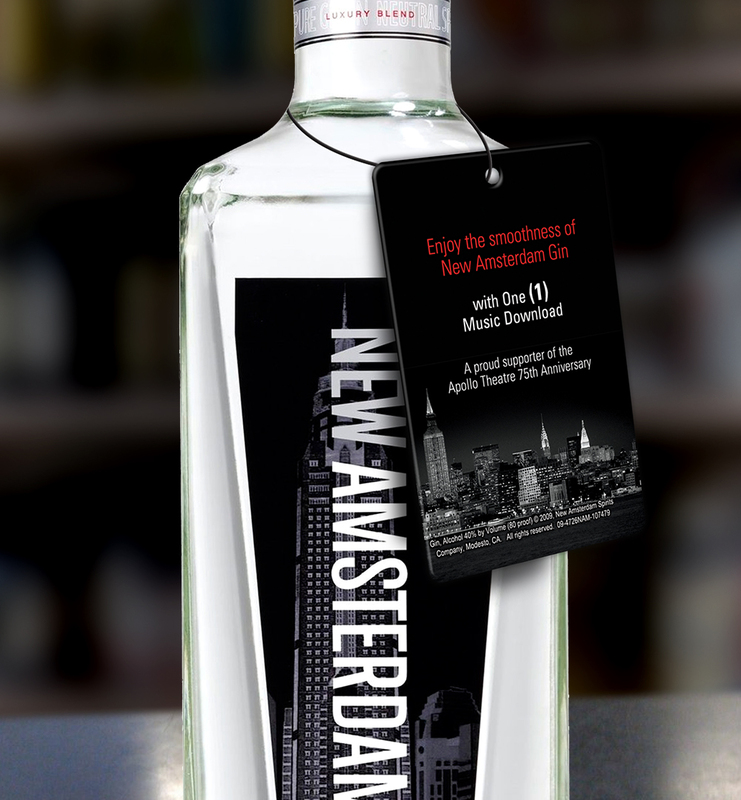 New Amsterdam®, a prominent liquor and spirit distributor, was proud to sponsor the 75th Anniversary of the prestigious Apollo Theater® in New York City. In order to make this event special, they wanted to include gifts with each bottle of gin that all attendees could use and enjoy. They decided to include hangtags on each bottle that offered guests a free music download. Each tag supplied one reward code, and was branded with the alcohol's signature style. This valuable reward was a unique way for New Amsterdam to thank guests for coming to their event. Although they sponsored the event, the hangtag increased brand awareness and improved brand recognition. Music is universally appealing, so providing music download reward codes was a gift that resonated with everyone. Hangtags are small, lightweight, and easy to distribute. Because of their size, shipping was easy, and the brand avoided all logistic issues. Offering reward codes for universally appealing prizes is an easy and flexible solution for rewarding event guests. Their promotion ran as smoothly as their gin.